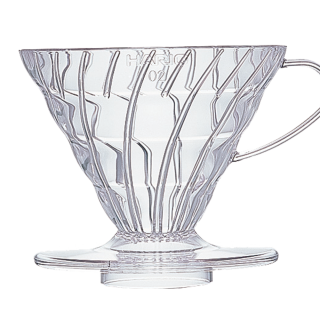 Since 1921, Hario has been dedicated to the design, production and sale of heatproof glass and is the only manufacturer of its kind in Japan. 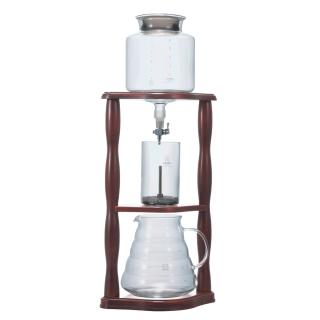 At the time of founding, glass products for science laboratories and medical uses were produced and sold and then, after World War II, production of household items began - starting with the coffee syphon. 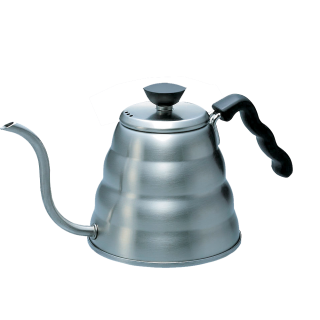 Since then, the company has expanded to producing a variety of coffee equipment items, and more. Hario has continued to deliver the beauty of colour and richness through high quality heatproof glass and uses 100% natural minerals to refine it into an environmentally-friendly material. 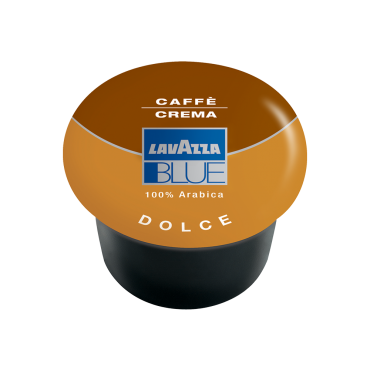 Discover their range of products that add depth to your coffee experience and are used in over 70 countries throughout the world. 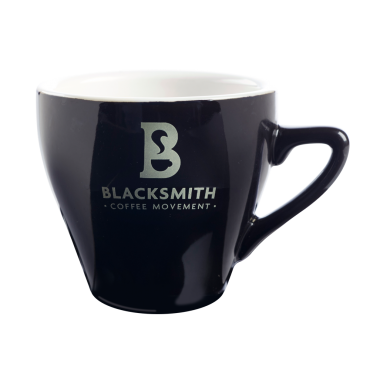 From coffee drippers, siphons and pourovers to their new range of kettles and grinders; click on each product for more information or to confirm your order quantities. Enjoy cold brewed coffee with the Hario water dripper, elegantly designed and made from the highest quality Japanese borosilicate heat proof glass. Taking design cues from fine wine decanters, Hario's Sommelier siphon is a beautifully crafted take on a classic brewing device. 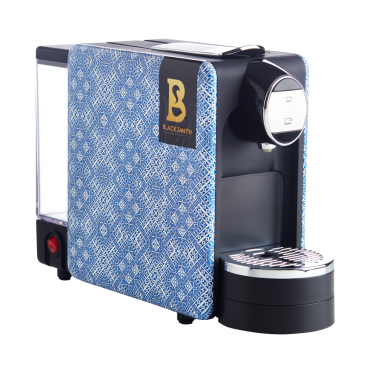 The Sommelier is handcrafted to accentuate the aromas of your coffee, as well as provide a more refined brewing and serving experience. The delicate contours of the glass are more than just show: the serving carafe is designed to leave sediment and fines behind, providing you with a clean and delicious cup of coffee. 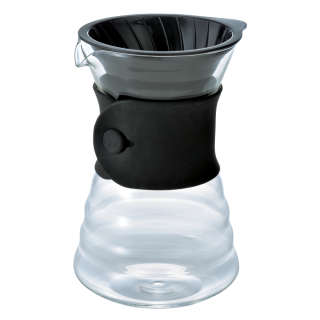 This Hario V60 Coffee dripper is crafted in a lightweight, clear plastic, guaranteeing great coffee by brewing right into your cup. Designed for manual, pour-over brewing, it allows you to choose your ideal brewing time and temperatureThis pour-over produces enough coffee for two cups of coffee. 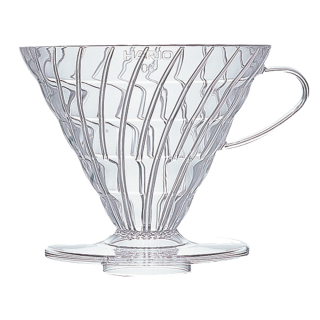 This Hario V60 Coffee dripper is crafted in a lightweight, clear plastic, guaranting great coffee by brewing extraordinary coffee right into your cup. 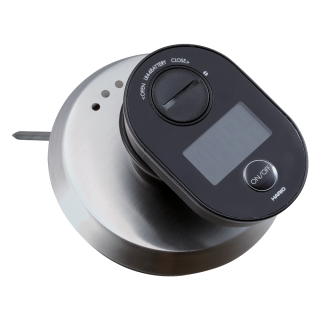 Designed for manual, pour-over brewing, it allows you to choose your ideal brewing time and temperature. This pour-over produces enough coffee for three cups of coffee. 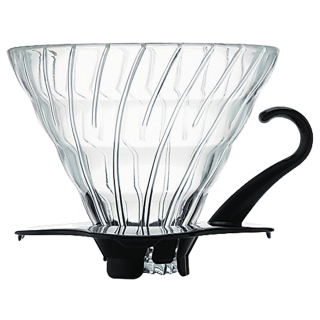 The classic white Hario V60 ceramic coffee dripper has unique spirals on the interior of the cup, allowing extra air flow through the filter paper which leads to a crisper, cleaner coffee finish. This pour-over produces enough coffee for two cups of coffee. 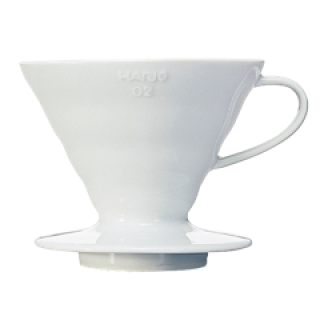 The Hario V60 dripper allows baristas to brew delicious coffee with no coffee grounds deposited. 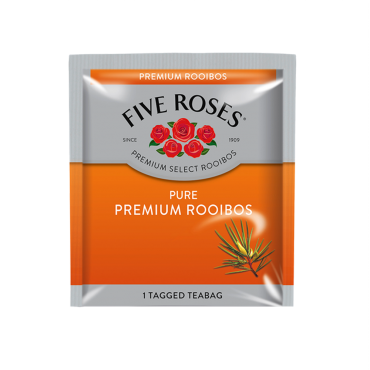 The pure coffee taste is achieved by wetting the paper filter; adding the grounds and pouring the hot water slowly on the top. 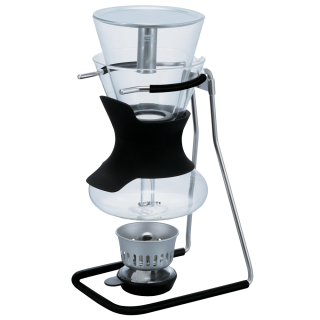 The drip-style brewing method will enhance the taste of your favourite coffee beans. This pour-over produces enough coffee for two cups of coffee. 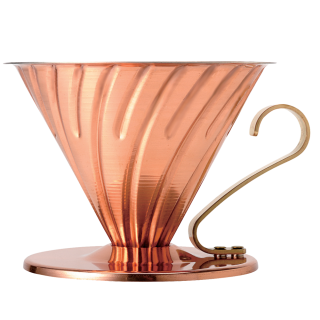 The ultimate edition to the Hario V60 range, the copper V60 dripper allows heat to be transferred evenly through the coffee grounds due to the high thermal conductivity of copper. This pour-over produces enough coffee for two cups of coffee. Classic and elegantly designed, the Hario V60 600ml stainless steel pouring kettle offers baristas and coffee experts at home the perfect tool for brewing great V60 pour over coffee. 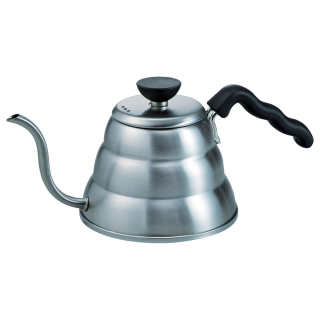 Classic and elegantly designed, the Hario V60 800ml stainless steel pouring kettle offers baristas and coffee experts at home the perfect tool for brewing great V60 pour over coffee. 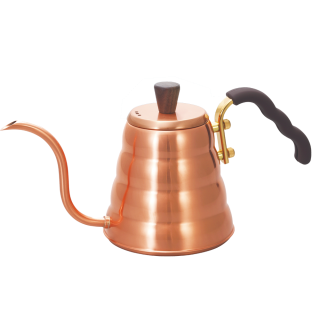 The Hario V60 copper kettle is a design masterpiece with tremendous quality, style and precision combined into one.